Unless you wear them yourself, you may not be aware of just how many variations there are in the scrubs you see in the medical field. It's amazing just how many variations this simple outfit can have until you start to look. Sewing your own scrubs allows you to have as many pockets as you need and details that are perfect for your job! These patterns will cover scrub's needs from the surgical floor to the doctor's office and every place in between! Scrub patterns are available as costumes for children, and health care worker uniforms for men, women and in plus sizes. Misses', Women's, Plus Size, and Men's scrub patterns for all aspects of the healthcare industry. Browse the many options offered and combine patterns for the perfect scrubs, if you can't find one pattern that meets all of your needs! It's amazing just how many design details can make a set of scrubs... and how different they can be by way of the design details. Check these patterns out and see for yourself. Most of us have been in the hospital more than once, and these hats have a home at hospitals in surgical departments and more. Fun fabrics and fun patterns combine to bring smiles to your patients' faces. Not all scrubs are the same! These scrubs patterns offer definite style details that you won't find on typical discount or department store scrubs. 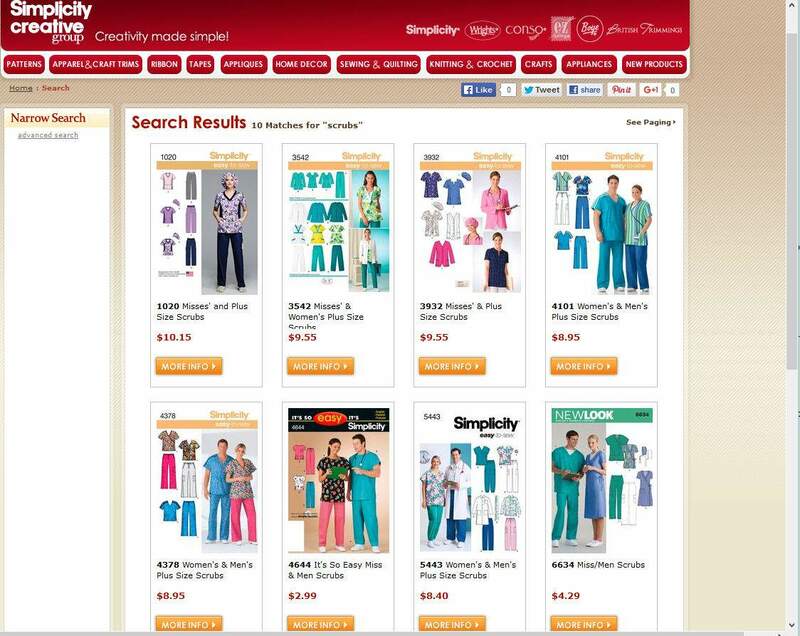 McCall's offers scrubs patterns that have details; those details may be just perfect for your work needs! You'll find pages and pages of scrubs patterns for almost any size person from adults to children in this vast selection of patterns that are for sale either used or new. read the details before you buy so you know what you are buying. What Are Good Commercial Sewing Pattern Companies? Sew Baby Tag Blankets for a Great Baby Gift!